Medical malpractice is an injury to the body caused by a failure to act appropriately on the part of a medical professional. The medical professional may be a technician, nurse, physician, or any other licensed medical professional. Medical malpractice is a tort. A tort is an act, or failure to act, that deviates from an accepted norm. There are many torts: liable and slander, assault and battery, automobile negligence, intentional interference with advantageous relations, certain types of product liability, among many others. Medical malpractice is specialized tort. By undertaking the care or treatment of a patient, a hospital or health care provider has a legal duty to that patient, to perform up to a standard of care. The breach of duty was a direct cause and the proximate cause of the injury, or the medical practitioner acted in a manner which was contrary (deviated) from the generally accepted standard of his/her profession. Regardless of whether the medical provider was negligent, without an actual injury or damage (pecuniary or emotional), there is no basis for a claim. 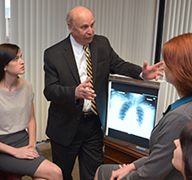 When evaluating medical malpractice an attorney must take special care to examine all four of these elements in detail. 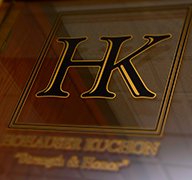 Should you or a loved one wish to discuss any question of medical malpractice, contact Hohauser Kuchon today. We have a registered nurse on staff, Mr. Hohauser has years of experience in the field, and we have many physician experts ready to discuss your case. Reference our videos and articles for more information on this topic. Or contact us, we’re happy to answer questions about your case. 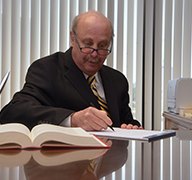 Watch as Michael Hohauser provides additional details on medical malpractice. For more videos, visit our YouTube channel. Learn more about "Torts" as they apply to medical malpractice law. DO YOU HAVE A CASE?? Our expert staff will evaluate your claim free of charge. Contact us today. CALL 888-955-4550 FREE CONSULTATION. NO FEE UNLESS WE WIN. This site is intended for informational use only. It is not intended to substitute for actual legal advice from a professional. © Hohauser Law Firm, 2015. All Rights Reserved.